Amidst the heatwave of this summer, Oliver’s Travels was lucky enough to get some extra hot coverage, win some pretty fabulous awards and still have time to send people on cooling holidays to their favourite destinations. From Accessible Travel and Mumshine Breaks to big group holidays on British soil, if these bits of press aren’t proof of our passion for villa holiday we don’t know what is. Happy browsing! In a sparkling article all about Luxurious Restaurants for lovers of Champagne, Glass of Bubbly link to our blog post from 2016 where we recommend 10 foodie experiences for the Champagne region in France. 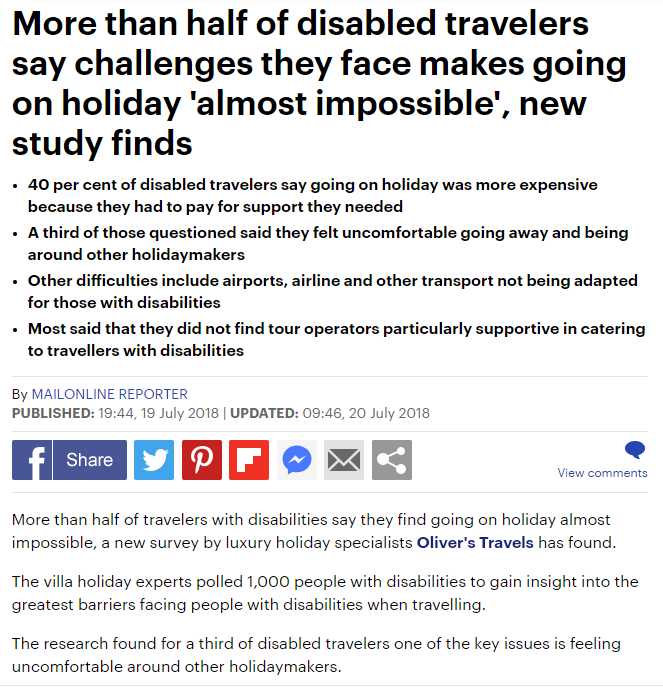 We loved reading the great coverage in Mail Online detailing the findings of our survey done earlier in the year about travelling with disabilities. They had some great things to say on the topic. Travel Weekly provided their insights on the market that is travel for disabled people, which in their words is a hugely untapped market. Oliver’s Travels survey on the topic supports their argument. 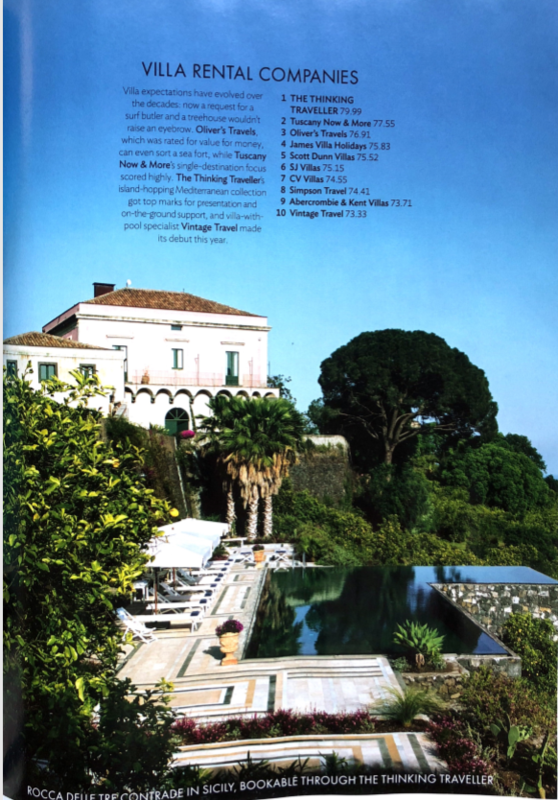 Villa Carrola in the Algarve was recommended by the Travel Doctor in the Times late this month. It is described as ‘perfect for a big family get-together’ and we couldn’t agree more. The Week put out a beautiful late-summer guide to the ten most beautiful Italian Lakes. 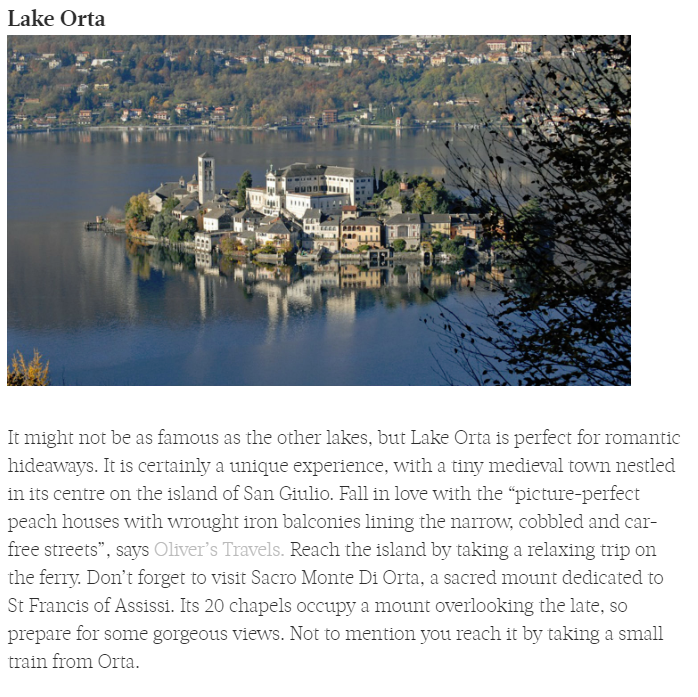 Oliver’s Travels’ fairy-tale description of Lake Orta made a special appearance. The Editor in Chief of Women’s Health tells all about the rejuvenating magic that is a stay at Villa Elounda Megali in Crete, in this article about where to go for the ultimate self-care trip by the sea. 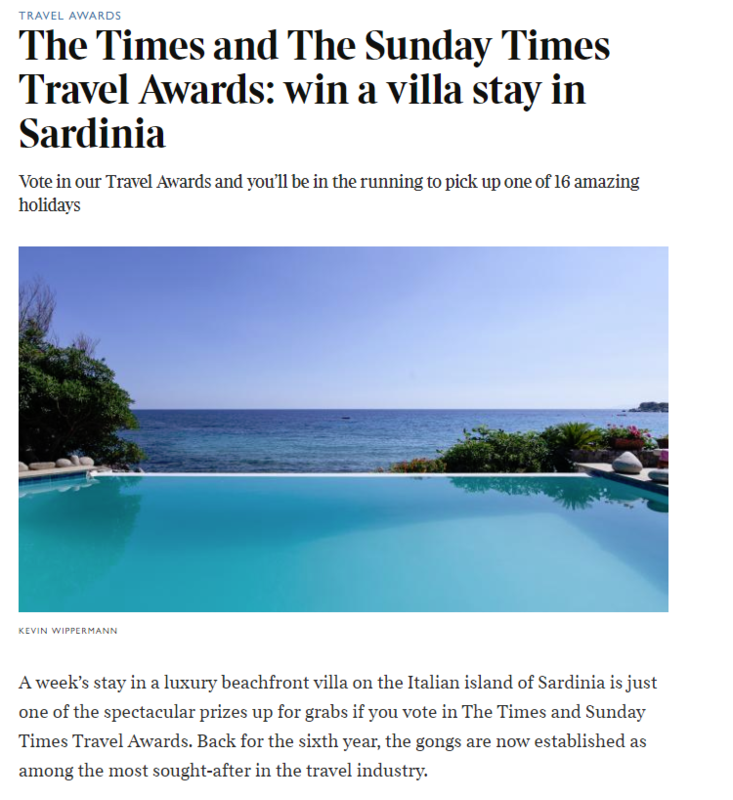 As voters in the Sunday Times Travels Awards were entered to win an array of fabulous travel prizes, one that was up for grabs was a week’s stay in Sardinian Villa Andromeda courtesy of Oliver’s Travels. 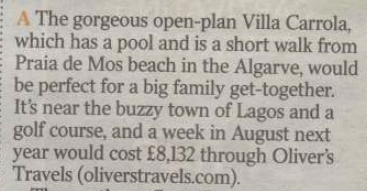 In a piece all about the glory that is villa holidays, Oliver’s Travels is recommended as one of the Top 5 Villa Holiday Operators by The Sunday Times Travel Magazine, and the piece features some beautiful images of Villa Darya. 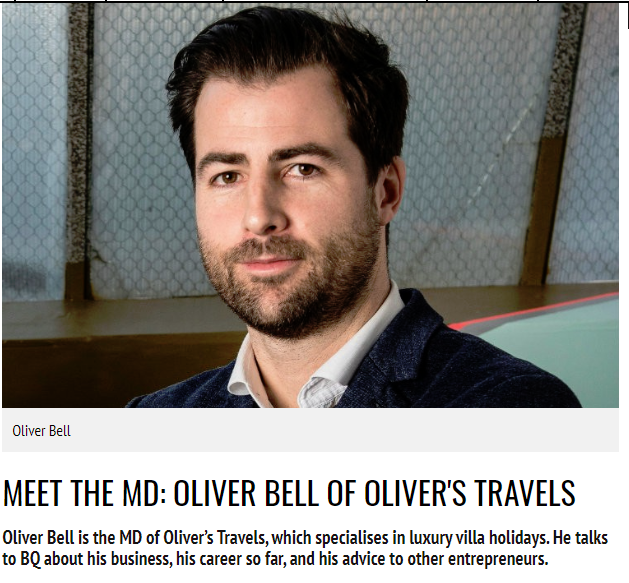 To kick off August, BQLive published an interview with our co-founder Oliver all about the business side of Oliver’s Travels as well as some career advice for budding entrepreneurs. Our co-founders Oliver Bell and Ravi Sabharwal have been running this business for over 14 years, so Ravi had quite a bit of advice to dish on when he sat down for an interview with Businessadvice.co.uk. 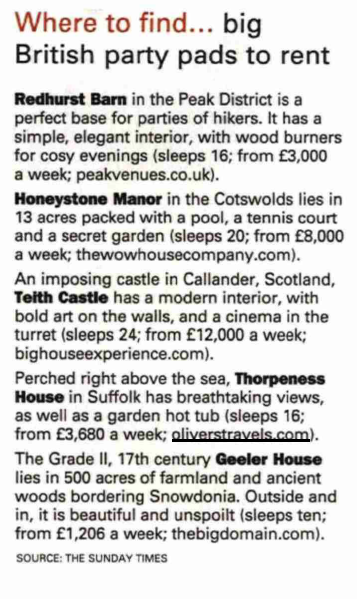 Linton Lodge is one of the Times’ favourite UK summer holiday props! 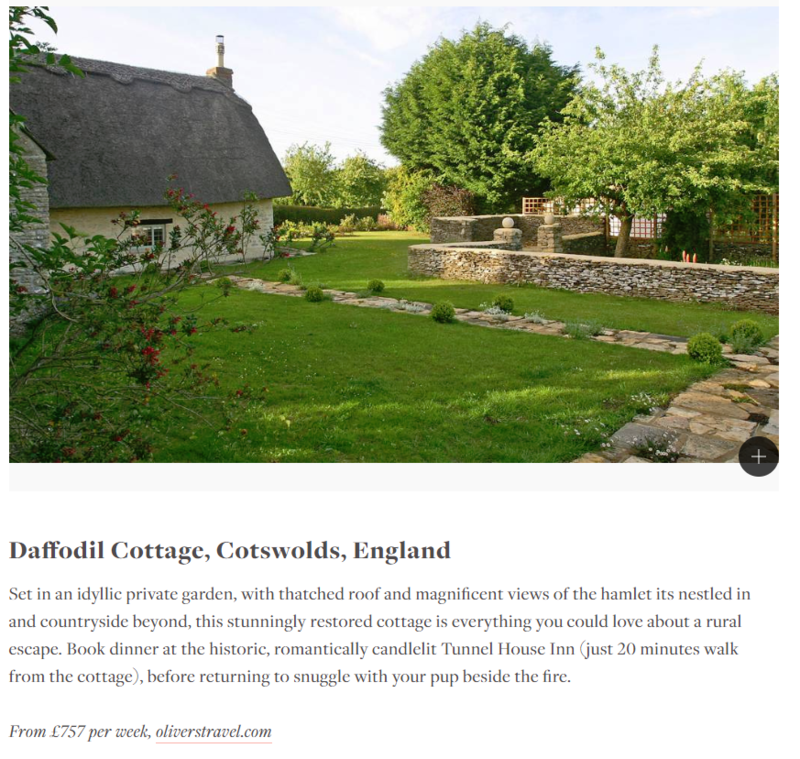 In a roundup of the best cottages, lodges and big houses for a summer holiday right here on British soil, Linton Lodge was dubbed one of the very best by the Times. The Sunday Times Travel Awards have sixteen amazing travel prizes up for grabs, one of which is courtesy of Oliver’s Travels. This special trip to Sardinia was given the spotlight by the Sunday Times this week. Matador Network takes seaside holidays to the next level (read: under the sea) in their top seven recommended underwater holiday accommodations. Oliver’s Travels Lover’s Deep made an appearance of course. 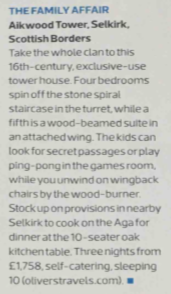 The Sunday Time Travel Magazine sure know what they’re talking about when it comes to travel, which is why we’re so in love with this blurb about their top 5 castles for Scotland holidays, featuring the one and only Aikwood Tower. One of our favourite tales told around the OT office is how out co-founders Oli and Ravi started their business as best mates and have managed to stay friends ever since. So we loved reading all about it once more on StartupDonut. 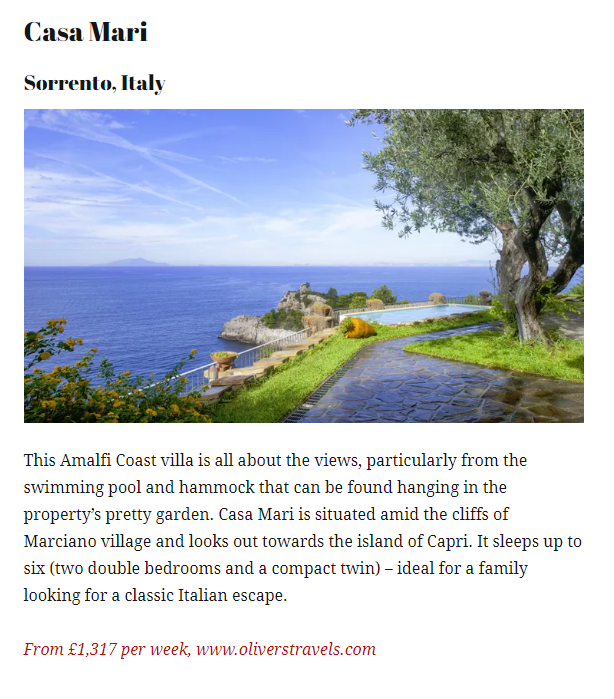 The Good Web Guide knows that no one wants to be swimming in a sea of tourists on holiday, and so recommended Oliver’s Travels’ UK castles and estates for an off the grid break, among lots of other options for escaping those crowds. For August we partnered up with our friends at the Daily Mail to give one lucky prize winner the holiday of a lifetime to Villa Kontokali in Corfu. Oliver’s Travels Co-Founder is Interviewed by Click. Click., the travel blog by booking.com, caught up with one of OT’s co-founders, Ravi Sabharwal, to get all his insights on how to makeover your rental property on a budget. Just between us, he’s definitely the right person to ask. Just as summer was coming to an end, iNews put together a list of the best locations to let it go out with a bang. We were thrilled to see Oliver’s Travels’ Villa Seada included. Our friends over at Britmums shared their top 20 tips for a last-minute holiday and included not one but two Oliver’s Travels villas on the list. Villa Tresnja and Villa Orsini both made the cut. We love Casa Mari in Sorrento, and so do Spectator Life. They love it so much that they featured it on their list of ten stunning homes away from home to rent in Europe, which we adored! 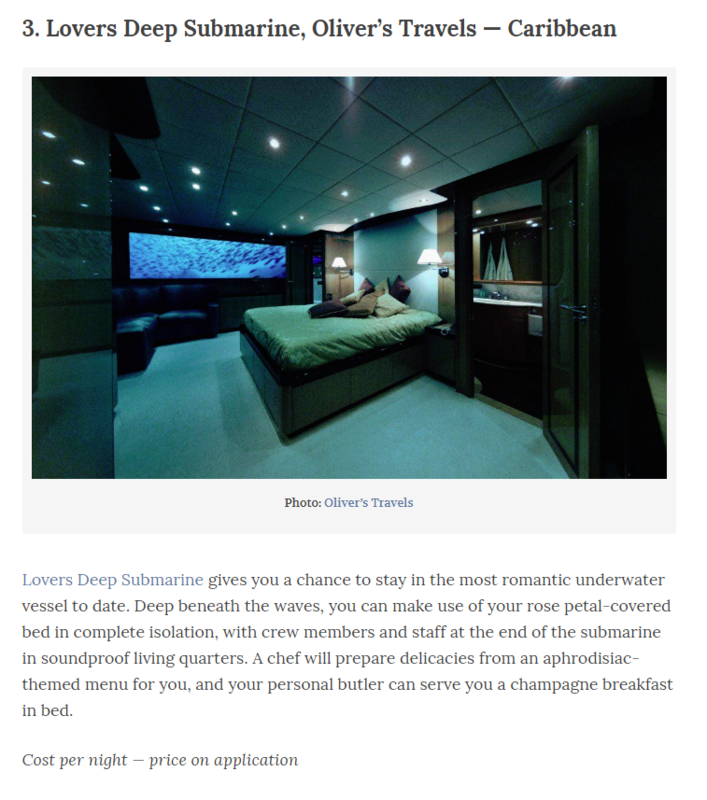 An excellent roundup in Whalebone Mag’s recent Water Issue featured Oliver’s Travels property Lover’s Deep (also known as the Mile Low Club) in an article about underwater accommodations. 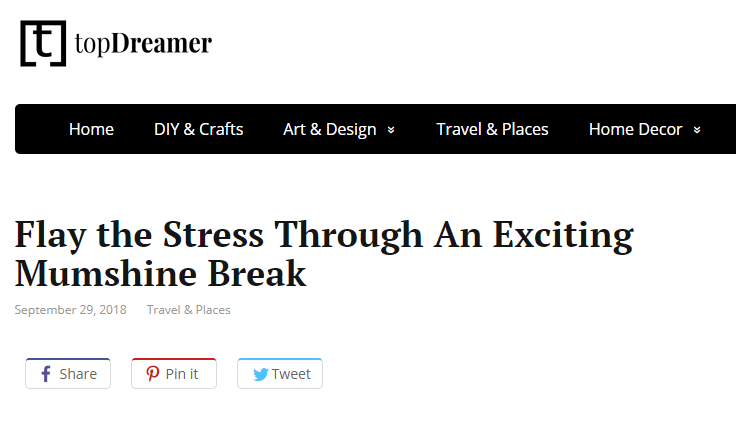 The Good Web Guide talks 3G holidays featuring Oliver’s Travels’ France! In a recent feature on the Good Web Guide all about multi-generational holidays, something we consider ourselves to have some expertise on, Oliver’s Travels South of France Villas were recommended. 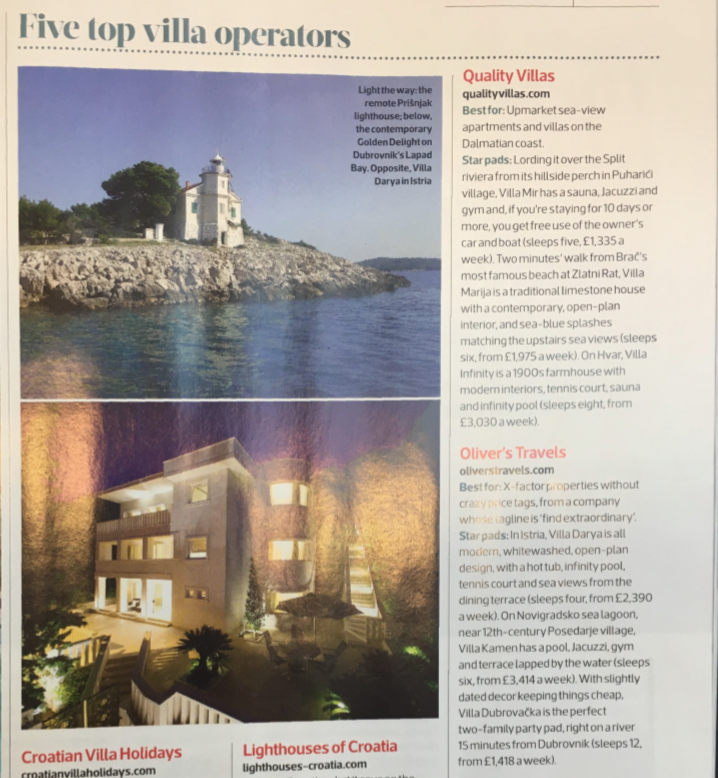 After placing third in the “Best Villa Rental Companies” category in the prestigious Condé Nast Traveller Readers’ Awards, the results were announced in the magazine’s 21st Anniversary Issue. 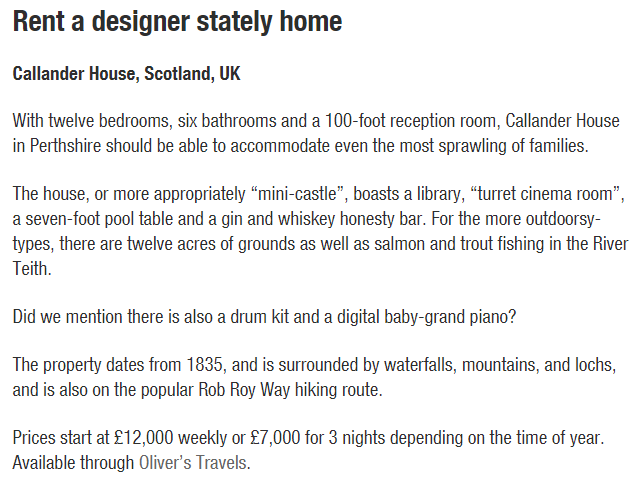 No one knows 50th birthday celebrations better than the folks over at High50.com, which is why we were so happy to see them recommend Callander House for the big day. Eastenders star Jaqueline Jossa recently took a trip to Oliver’s Travels’ Casa Feliz where she caught up with OK! Magazine for an amazing photoshoot and interview. 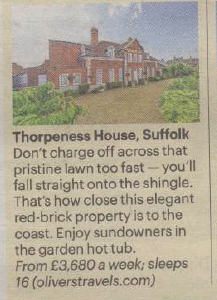 In another fantastic roundup of the UK’s prime party houses by the Week, Thorpeness House, with its fabulous views and luxurious facilities make the final cut. 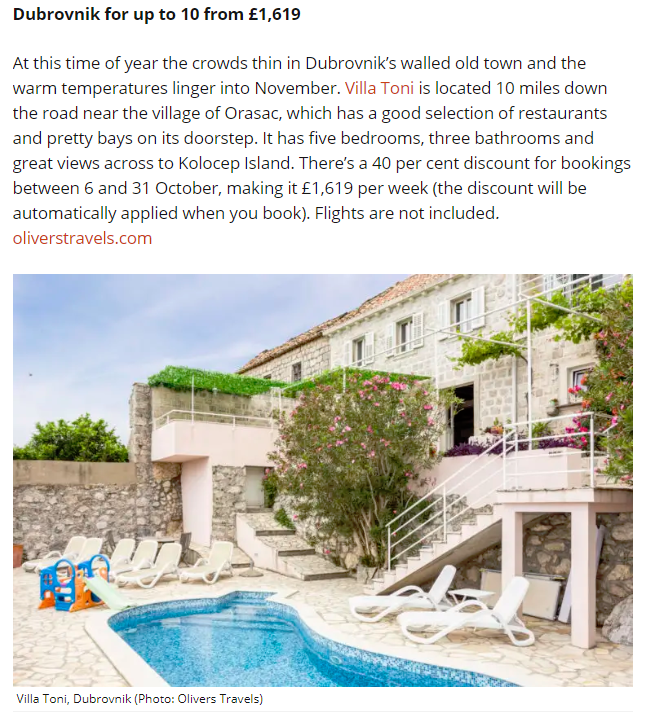 At the end of September, iNews posted their definitive list of the best travel deals for the upcoming month, and out fabulous 40% special offer on Villa Toni made an appearance! 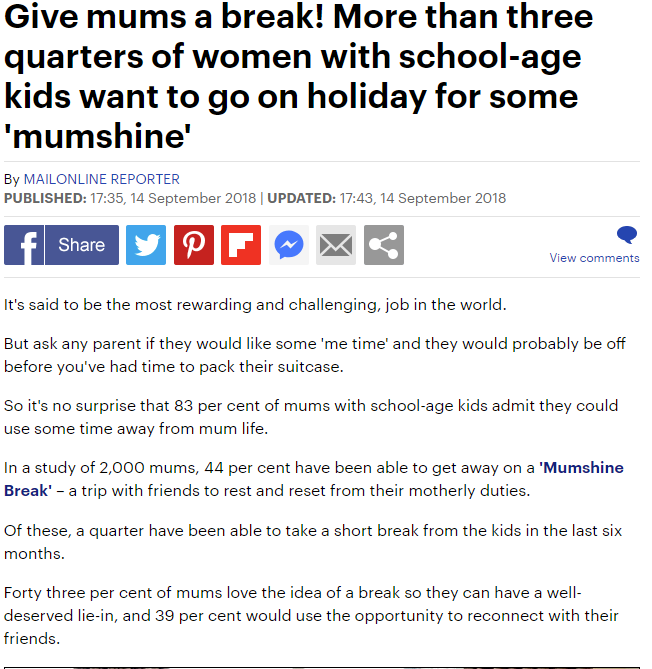 We love seeing coverage of our Mumshine Break campaign because it’s so close to our hearts. The team over at TopDreamer wrote up an article about our findings and we’re stoked! 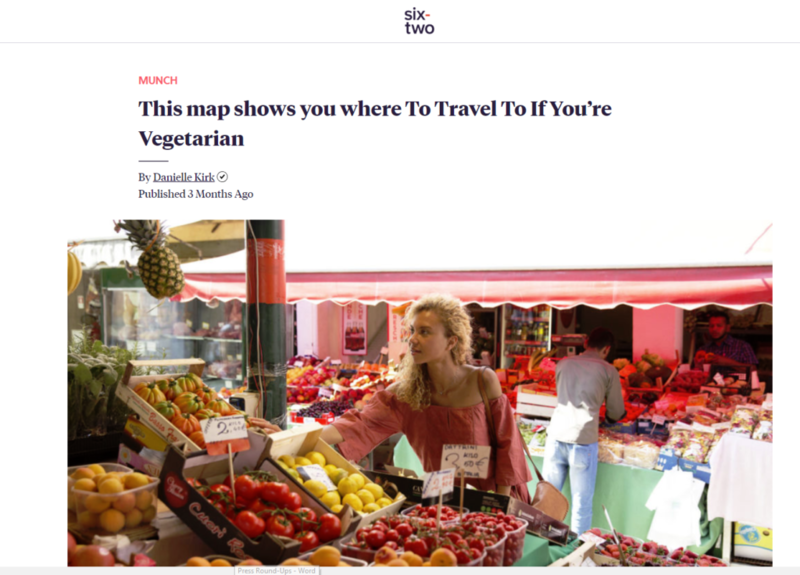 Contiki’s travel and lifestyle imprint, Six-Two, covered our campaign from 2017 where we investigated to see which countries are the most veg-friendly around the globe.